This article would be of great interest to the Final year Architecture students. Writing a Synopsis determines your level of understanding of the chosen topic as your thesis project. We will list out and discuss different steps in which one should proceed with writing a Synopsis. Briefly explain the Architectural/technological/social relevance or significance of the research work of your thesis topic. Be precise and include only relevant background material in the introduction. Provide information on past works by way of giving appropriate references. It should not exceed two pages. Develop further on the background material provided in the introduction and bring the subject of thesis in the chosen area of research in to focus. Emphasize, based on the content status, the importance of the research problem identified. Should broadly indicate the existing drawbacks and why further research is required to eliminate the drawbacks and find new architectural solutions. Identification of these should be brief and can be out of the scope of the Thesis subject but has to be relevant. You can enumerate those technical challenges one has to address to solve the problems/drawbacks posed herein to place emphasis on the quality of the research work. I came across a very interesting piece of article on motivation for writing thesis. This reading should be helpful to all. This should not exceed two pages. State precisely the questions for which the answers are sought through this thesis work. Define the conceptual, analytical, experimental and/or methodological boundaries within which the exercise will be carried out. Admit with clarity the limitation of such a research and difficulties involved. Keeping in mind the limitations and difficulties, identify the precise architecturally relevant area and extent of research that is attempted by you. Detailed explanations of the drawbacks/problems identified for which you are seeking possible architectural solutions. Explain in detail how the case studies will help in resolving the drawbacks/problems identified. Clear the role of literature studies/observations/experiments/questionnaires. Define with clarity the detailed methodology to be adopted that will lead you towards the Architectural solutions. Explain in detail how you are specifically equipped to deal with the research and find Architectural solutions. It should not exceed 10-12 pages. Highlight major conclusions you are working towards. Clearly bring out not only the generally useful advantages arising out of the work but also the architectural advancement you are seeking through this Thesis work. If there are no conclusions at the moment, then enumerate the possible contributions of the work. List the probable Case Studies and the relevant areas of study possible in them. Indicate clearly why you have chosen the particular case for study. Make a mention of the ease/difficulty of approach and obtaining information from the case studies. Also give the time frame required for each case study. It should not exceed one page. List the publications/books you have already identified for your literature study. List only published or accepted books/papers. Never claim contents of the publications/books as your own. Always give credit where it is due. The student has to identify a possible and suitable site for the proposal where the conclusions and solutions can be carried out. The project site may or may not be a live project but should definitely be suitable for the chosen project. iam a final year architecture student.i am entering 9th semester now.i am supposed to give a synopsis of my thesis project.could you please guide me how to choose topics for my thesis. hi i am a 9th sem student! !i m completely at my wits end in going ahead with my topic! !althou not a topic my idea is like”to represent space in terms of all 5 elements,’air,water,fire,earth,space(sky)’.which form d very essence of life,present in everything but r disguised!i really dunno how to translate this into a built space! !n wat it l b!can anybody throw some light on this.. This is Arun, i myself am a final year student of architecture and we are also supposed to give synopsis on the thesis topics. and i guess that i am pretty lost. it would be gr8 if u could share in yhing that u have come across regarding the synopsis, how it is done or made. I hope you have gone through the guidelines for writing the Synopsis. This will definitely be of help to you. Inspite of the guidelines, if you are unable to understand as to what is to be included in your thesis synopsis, you could tell us your topic through our comment section and then we shall have a discussion so that all the readers benefit from it. Also check out the following link. You will find various articles that will benefit you. its so helpful to me,…thanks ..
We have now made it possible for you to subscribe for FREE updates of Architecture Student Blog! Look forward to see you on our Subscription list. Apologies for the delay in replying. I hope your synopsis writing went well. I can definitely give you feedback and guide you through your thesis project. Do get back in touch and we can discuss your project on the blog. There is an apparel house in Gurgaon, Haryana. It would be useful if you could post your questions regarding your thesis here so that we can all have a look at it and help you with your thesis. 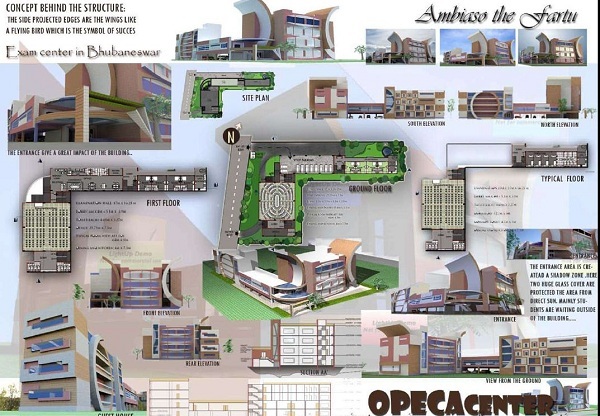 Hello,am a student of architecture,I have choose hotel as my thesis topic.really need your help on how to start. Here is the link to a number of articles on how you could progress with your thesis project. I am sure this will be useful. I m in my final semester and my topic is institute of game developing and animation. Can you please guide me through. i have just got into my 9th semester of arch. and wanted to know if you could suggest me some case studies regarding my thesis topic i.e. Hospice care center for terminally ill or cancer patients, in india.anything outside india would also be helpfull for literature study. I’m architecture 9th sem student. We are supposed to give our synopsis so can u elaborate me further about the topic aqua marine park. The factors considered for choosing the site and will it be a big project or I can work in details in time. Please help. This will be an interesting design topic but the casestudies would be difficult because i dont think we have good marine parks in India. If you are willing to go to Dubai for a casestudy then I am sure this would be a fantastic project. I am currently working on my design project and masters thesis: Fruits Processing plant, with emphasis on integrating environmental and human factors. I would be greatly appreciate any relevant materials that could aid my work.